Celebrity chefs are just like us. They put their pants on one leg at a time. The only exception is that their pants are professional chef pants and ours are Dockers or some kind of trendy jeans that will be out of style in six months. Since they’re like us, they have favorite NFL teams as well as go-to tailgating foods. Do you enjoy chicken wings and blue cheese dip before your favorite team takes on its bitter rival? So do you your favorite celebrity chefs. 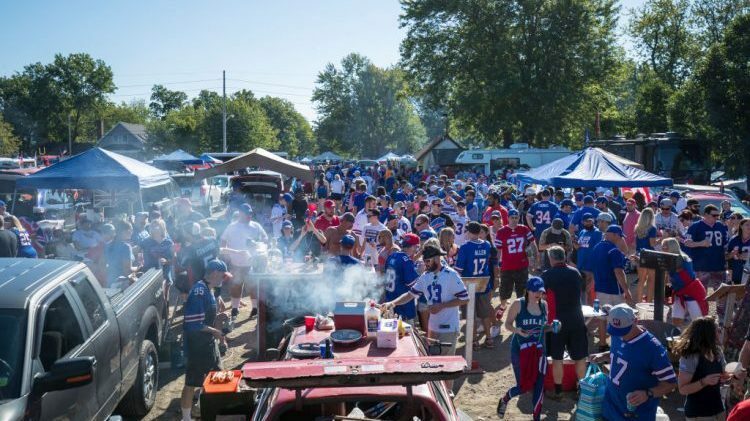 We asked some of our favorite celebrity chefs to tell us their favorite tailgate foods. They were kind enough to provide their answers thanks to the Taste of the NFL as it kicks off (get it?) another season of raising both awareness and funds during its season-long Hunger Challenge, an annual fundraising competition for fans of all 32 NFL markets. Their goal is to raise money for each team’s local food bank. One hundred percent of the money raised goes to local communities. To donate to your favorite NFL city, visit www.kickhungerchallenge.com. Bonafides: Executive chef of Manhattan’s Butter restaurant, Chopped judge, Iron Chef Gauntlet defending champion, and Fix Me a Plate host.